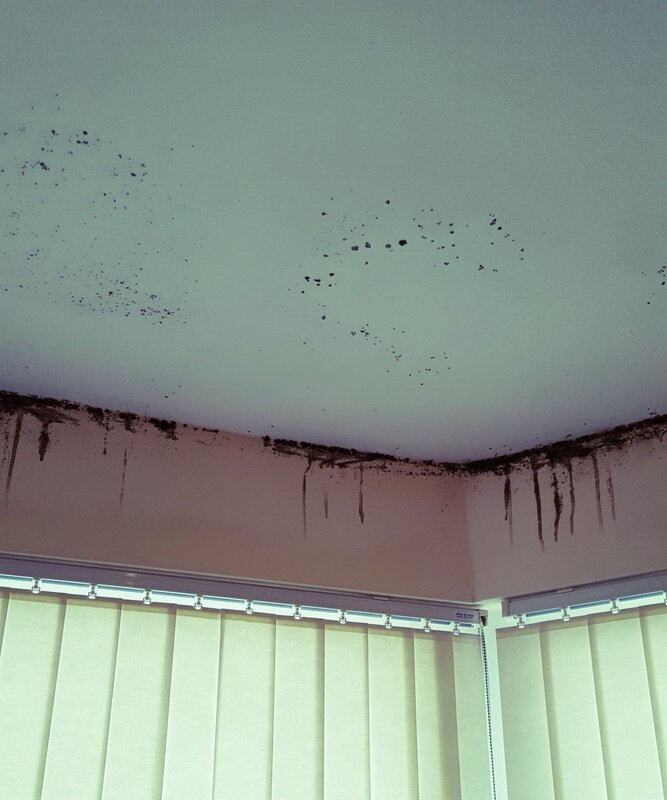 In this latest article, MADE Surveying & Architectural discuss condensation in properties with Phill Hogg of PH Preservation. Condensation accounts for almost 70% of domestic damp problems. Unfortunately, landlords, tenants, occupiers and assessors very frequently mistake it for other forms of dampness. This can lead to expensive repair works which may not necessarily be required. Condensation is thought of as an exceedingly common result of a lack of balance between heating and ventilation. Condensation occurs as air can hold more water vapour when warm than it can when cold. When warm air is chilled it deposits the water it can no longer hold, as condensation. This is an effect that can be demonstrated by breathing onto a mirror or another cool surface. In its less serious form, condensation may “steam up” windows and mirrors. In more severe cases it can cause dampness ON wall surfaces and in furnishings. Underlying brickwork or masonry will normally be of a lower moisture content. It may cause mildew on fabrics and leather and, in extreme cases, can cause walls to be visibly wet. 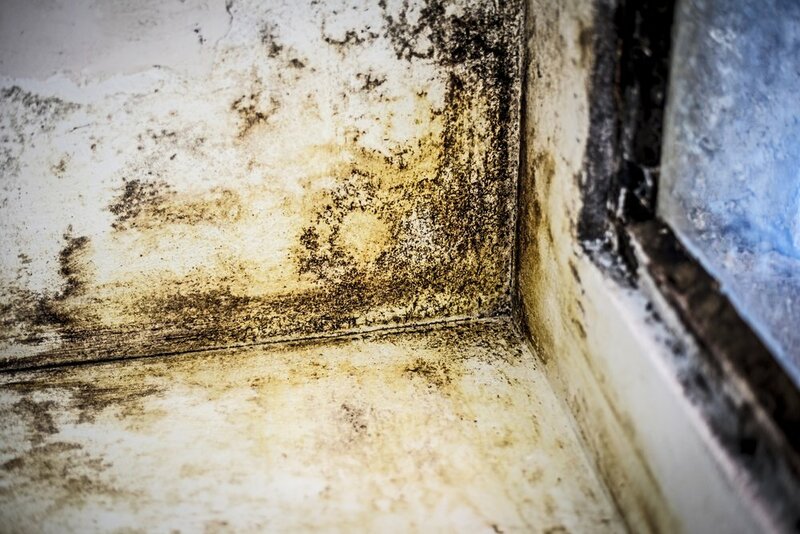 It is frequently accompanied by mould growth, of which the most common is “black spot” – a mould which appears first as small soot like spots which can join up and cause large black spores. Condensation may occur at any height on almost any cool surface. This distinguishes it from RISING damp which almost never occurs at heights of more than five feet above ground level and is confined to walls which are in ground contact. Unlike condensation, RISING damp normally results in the brickwork or masonry being of a HIGHER moisture content than the plaster / render. Cooking, washing (in particular tumble dryers) produce large volumes of vapour. You should try to prevent vapour from dispersing throughout the property, e.g. tumble dryers should be vented to open air; kitchen and bathroom doors should be kept closed, and after use the rooms should be ventilated by opening windows or exterior doors to flush out moisture laden air. Electric extractor fans should also be switched on where available. Do not let kettle / pans boil any longer than is essential; keep lids on washing machines or standing water as much as possible; do not leave clothes soaking overnight in sinks and baths. Try to dry washing in the open rather than on indoor racks and radiators. Do not use oil or liquid gas heaters which are not vented to atmosphere. Condensation can eventually lead to peeling of decorative finishes. D. Dogs and cats emit about twice as much moisture per unit of body weight as do human beings. A human adult puts between 50g and 200g of moisture into the air. A. Cold surfaces can often be replaced with “warmer” materials e.g. materials which absorb heat less readily, e.g. a cork surface will be less prone to condensation than a stainless steel surface at the same temperature, since it is less able to absorb heat from damp air. B. It is difficult to warm walls except by insulation, but thoughtful use of heating can assist considerably. It is not good practice to use central heating intermittently, e.g. two hours in the morning and five hours in the evening at high settings and then off or at low settings at other times. This use of the heating system warms the air in a property but does not allow the walls to reach a stable temperature. Thus warm (damp) air will be in contact with a cold wall – a situation prone to causing condensation and one which will worsen in the ‘off’ periods when the air cools further. It is better to have the heating at a low setting either more or less continuously, or with only short off periods so that the overall temperature fluctuates very little. This will warm the fabric of the building and reduce boost requirements. Overall it is unlikely to cost any more than the low heat / high boost procedure and will reduce condensation by maintaining a higher wall temperature. With several other factors involved, e.g. humidity, temperature, insulation, type of heating, etc it is impossible to advise on a ventilation rate that will meet all requirements but as a guide, a complete air change should take place about every 1 - 1.5 hours in most rooms. In bathrooms and kitchens, this rate should be raised during and shortly after periods of use. The point to remember here is that when warm (damp) air is vented out of a property, it will be replaced by air from outdoors. This air will be cooler and therefore drier than that which it replaces. We would like to thank Phil Hogg of PH Preservation for his comments in relation to this subject. Newer PostWould you buy a car without an MOT? Older PostJanuary 2018 Blues for the UK Housing Market?